Fish oils come from oily fish, also known as fatty fish, specifically from the tissue of fish such as trout, mackerel, tuna, herring, sardines, and salmon. The flesh of oily fish contain up to 30% oil, but this figure can vary. White fish, only contain high concentrations of oil in the liver and have much less overall. Aside from omega-3 fatty acids, oily fish are great sources of vitamins A and D. Whitefish also contain these nutrients also but at much lower volume. Many Health experts often tell people that oily fish have more health benefits to them than white fish. However, their suggestions have never been compellingly proven in large clinical trials. Health authorities around the world advise people to consume either plenty of oily fish or to take supplements as part of their daily diet, because of the overall health benefits it gives. Studies over the last 10 years have produced mixed results regarding the benefits of the dietary intake of fish oils. Many people confuse fish oils and cod liver oil – they are different. 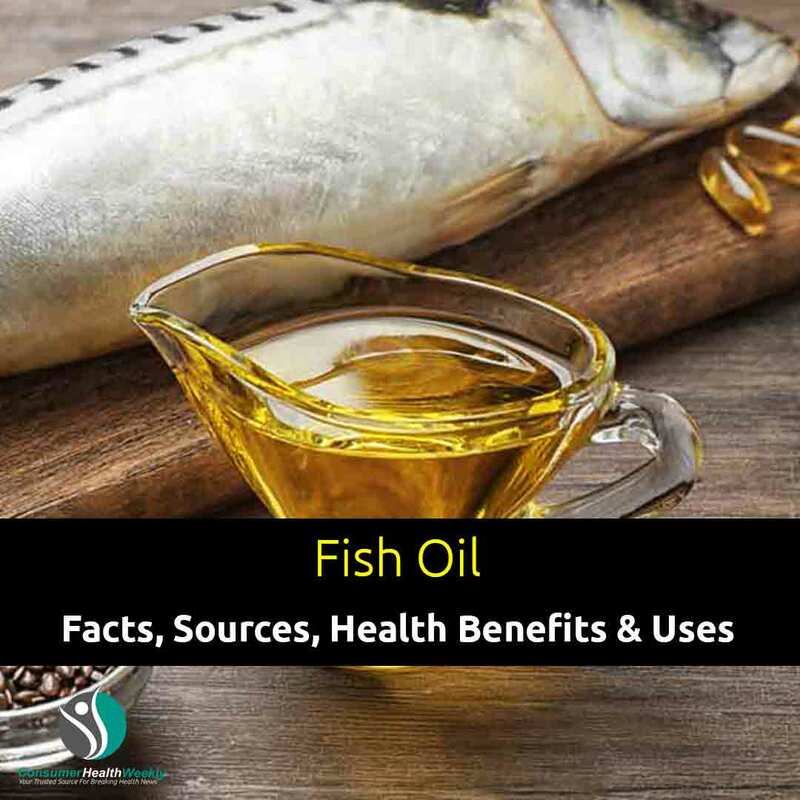 Fish oils are extracted from the tissue of oily fish such as mackerel, tuna, salmon, sturgeon, mullet, bluefish, anchovy, sardines, herring, trout, and menhaden. Cod liver oil, by contrast, is extracted solely from the livers of cod. Fish oils contain higher amounts of omega-3 fatty acids than that of cod liver oil but have a lower amount of vitamins A and D.
Some key facts about fish oils. Fish oils and cod liver oil are different compounds but often confused. Not all health claims regarding fish oils have been backed up by research. Omega-3 fatty acids found in fish oils may protect the heart from mental stress. Whether Omega-3 oils can reduce dementia risk is still being debated. Omega-3 fatty acids are types of fat commonly found in plant and marine life. Omega-3 fatty acids are a class of essential polyunsaturated fatty acids with the double bond in the third carbon position from the methyl terminal (hence the use of “3” in their description). Foods high in omega-3 fatty acids include salmon, halibut, sardines, albacore, trout, herring, walnut, flaxseed oil, and canola oil. Other foods that contain omega-3 fatty acids include shrimp, clams, light chunk tuna, catfish, cod, and spinach. Eicosapentaenoic acid (EPA) is an omega-3 fatty acid that is found in fatty fish. When people talk about omega-3 fatty acids in fish, they are usually referring to EPA. EPA is a precursor to chemicals involved in blood clotting and inflammation (prostaglandin-3, thromboxane-2, and leukotriene-5). Fish can not produce EPA, it is obtained from the algae that the fish eat. Docosahexaenoic acid (DHA) is an omega-3 fatty acid that is a primary structural component of the human brain, cerebral cortex (brain), skin, sperm, and retina. 40% of all the polyunsaturated fatty acids (PUFAs) in the brain consist of DHA. DHA also makes up 60 percent of the PUFAs in the retina and half of the neuron’s plasma membrane weight. Additionally, breast milk is rich in DHA. Over the past 10 years, there have been dozens of studies on fish oils and omega-3 oils. Some have backed up health claims, while others have not. A pilot study carried out in 2007 leads to the belief that fish oils may help young people with behavioral problems, principally those with attention deficit hyperactivity disorder (ADHD). The 8-week study showed that children who consumed 8-16 grams of EPA and DHA per day as part of their daily diet, showed significant improvements in their behavior (rated by both their parents and psychiatrist who worked with them). A study published in the American Journal of Physiology uncovered that people who took fish oil supplements for longer than 1 month had improved their cardiovascular function during mentally stressful tests. Adequate dietary consumption of DHA protects people from age-related vision loss, Canadian researchers reported in the journal Investigative Ophthalmology & Visual Science. A study found that fish oils may reduce the risk of developing prostate cancer if a person followed a low-fat diet; however, in another study linked omega-3 levels to a higher risk of aggressive prostate cancer. A study published in the Journal of the National Cancer Institute found that high fish oil intake raises the risk of high-grade prostate cancer by 71 percent and all prostate cancers by 43 percent. Omega-3 consumption may help boost fetal cognitive and motor development. In a study published in 2008, scientists found that omega-3 consumption by the mother during the last 3 months of pregnancy improved the baby’s sensory, cognitive, and motor development. Omega-3 fatty acid intake can help boost working memory in healthy young adults, researchers reported in the journal PLOS One. However, the benefits of fish oils for cognitive function in older people may be less inspiring. A study by researchers at the University of Iowa argued that high levels of omega-3 are of no benefit to cognitive decline in older women. Fish oils are said to help people with Multiple sclerosis. However, a study carried out by researchers from University Hospital in Bergen, Norway, found that omega-3 fatty acids do not help people with MS.
For many years, claims have been made that regular fish oil consumption would help prevent people from developing Alzheimer’s disease. However, a major study in 2010 discovered that taken fish oil was no better than taking placebo at preventing Alzheimer’s. A contrasting study published in Neurology in 2007 reported that a diet high in fish, omega-3 oils, fruit, and vegetables reduced dementia and Alzheimer’s risk. A study published in 2014 in the Journal of Neurology, Neurosurgery & Psychiatry claims epilepsy patients could possibly reduce seizure frequency by consuming low doses of omega-3 fish oil as part of their daily diet. The research team at the University of California-Los Angeles (UCLA) School of Medicine, says their findings may be particularly useful to epilepsy patients who no longer respond to medication. In what was believed to be the first study of its kind, researchers revealed the Omega-3 fatty acids found in fish oil may be effective at reducing the risk of psychosis. Nature Communications published a study detailing how a 12-week intervention with omega-3 supplements substantially reduced the long-term risk of developing psychotic disorders. Do fish oil supplements offer heart benefits? Many people believe that a high consumption of omega-3 oils can benefit the heart. However, recent studies have produced mixed results. Heart benefits found – a 2011 study, performed by researchers at Michigan Technological University, found that fish oil consumption can improve blood flow by reducing triglyceride levels, furthermore slow down the growth rate of atherosclerotic plaques. No heart benefits found – contrastingly, a review of 20 studies involving almost 70,000 people, found no compelling evidence linking fish oil supplements to a lower risk of heart attack, stroke, or early death. Fish oils can help patients with stents in their arteries – people with stents in their heart who took two blood-thinning drugs along with omega-3 fatty acids were found to have a lower risk of heart attack compared with those not on fish oils. Are low Japanese heart disease rates linked to high fish oil consumption? A group of researchers from the University of Pittsburgh, Graduate School of Public Health set out to find out why the frequency of heart disease in Japan is much lower than in America, Canada, Western Europe, and Australasia. They reported that the consumption fish rich in omega-3 fatty acids in Japan was much higher than in other developed nations. The researchers believe that this is the main contributor to its comparatively low rate of heart disease. The scientists explained that the difference cannot be explained by genetic factors. Third and fourth generation Japanese-Americans have either the same or higher rates of hardening of the arteries (atherosclerosis) than the rest of the American population. “Our study suggests that very high levels of omega-3 fatty acids have strong properties that may help prevent the buildup of cholesterol in the arteries. Increasing fish intake to two times a week for healthy people is currently recommended in the United States. Japanese adult males consume approximately 3.75 ounces (100 grams) of fish each day. Their U.S. counterparts eat fish no more than twice a week. Researchers from the University of British Columbia reported in the American Journal of Clinical Nutrition in 2008 at Americans and Canadians eat too much meat and not enough fish. The authors added that the North American lifestyle means people are not getting adequate amounts of omega-3 fatty acids in their diet. They stressed that pregnant and breastfeeding women especially need to ensure that they are consuming plenty of omega-3 oils. They found that babies from North American did not do as well on eye tests if they were deficient in omega-3 fatty acids while their mothers were pregnant. Which foods are rich in Omega-3 fatty acids? How can vegans make sure their Omega-3 fatty acid intake is sufficient? Without proper planning, vegans and vegetarians have a much higher risk of being omega-3 deficient than people who eat animal-sourced proteins. The risk of not getting enough omega-3 fatty acids is higher for vegans than vegetarians. Vegans may obtain their necessary omega-3 supplies by either taking supplements or adding plant-sourced omega-3 foods to their diet. Several foods have omega oils added to them, such as margarine and spreads. Flaxseed and rapeseed oils are very high in Omega-3 fatty acids, while soybean and walnut oils are high in Omega-6 fatty acids. Individuals should remember not to cook these delicate high Omega-3 oils at a high temperature.